Nourished Life have created our own brand of beautiful yet simple Konjac Sponges, and this one contains Bamboo Charcoal that can help tackle acne-prone and problematic skin. These sponges have been used as beauty and medicinal aids for over 1500 years in Japan and are ideal for ridding your face of any grime and your daily make-up, while also gently removing any dead skin cells. Being pH neutral means they help to maintain the natural acid mantle of the skin, protecting it from bacterial and environmental damage. 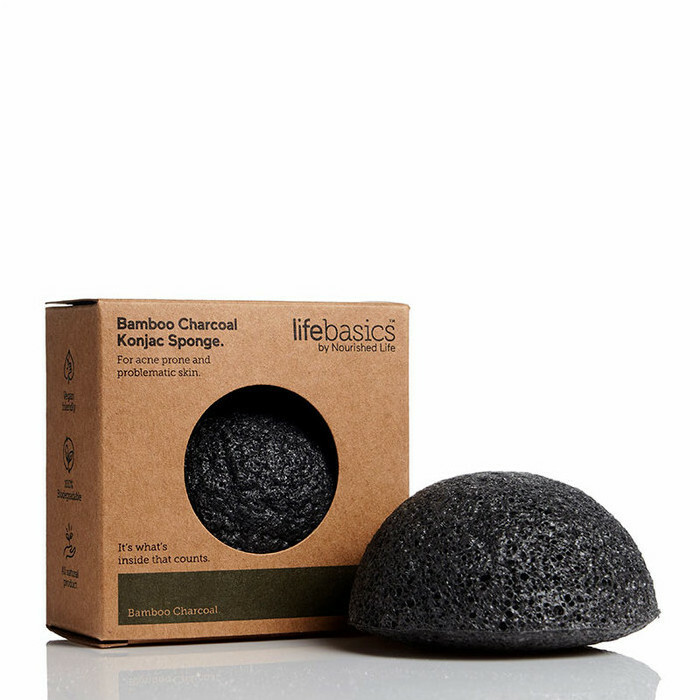 Made from Japanese Konjac Potato Fibre and Bamboo Charcoal containing activated carbon, the sponges work to absorb excess oil and toxins from the skin, and are wonderful at removing hard-to-get-to, acne-causing bacteria. 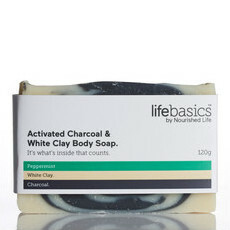 Rich in minerals, they also help to revitalise skin. The sponges are entirely biodegradable, making them totally natural and environmentally friendly. Used on their own or with your favourite cleanser, they massage your skin as you use them, which in turn stimulates blood flow and promotes new cell growth. 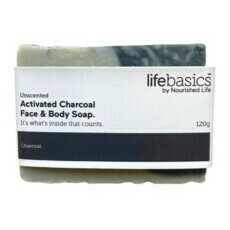 They are a delightful and revitalising cleansing wonder that can be used daily. Vegan. Cruelty free. 100% Biodegradable. 100% Plastic Free packaging. Japanese Konjac Potato Fibre, Bamboo Charcoal. Soak thoroughly for 3 to 5 minutes in warm water before each use, squeezing gently until it becomes soft. 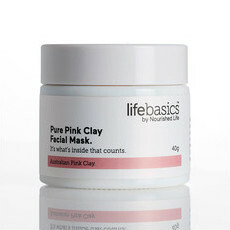 Use on its own or with a little of your favourite cleanser (you will only need half the amount) to remove make-up and gently remove dead skin cells. Rinse thoroughly after use, squeezing out excess water (do not wring). Leave to dry with good air circulation. 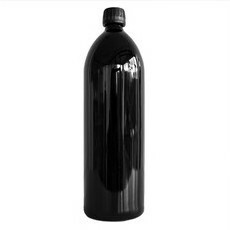 Store in the fridge to help it last longer. Sterilise by soaking in boiling water once a week. Dispose in compost bin or in the garden after use. Liking this for something different. A bargain on sale. Works well for my skin.